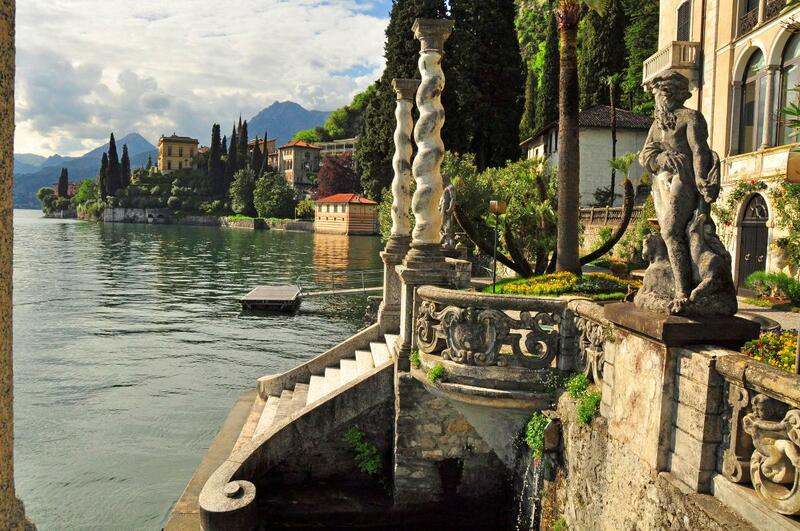 Lake Como or as Italians call it Lago di Como is a dreamy luxurious destination. This is where the world’s richest come for a vacation. The stunning lake is in the shape of an inverted Y. Blossoming gardens, lavish villas, and wonderful villages line up this gorgeous lake. 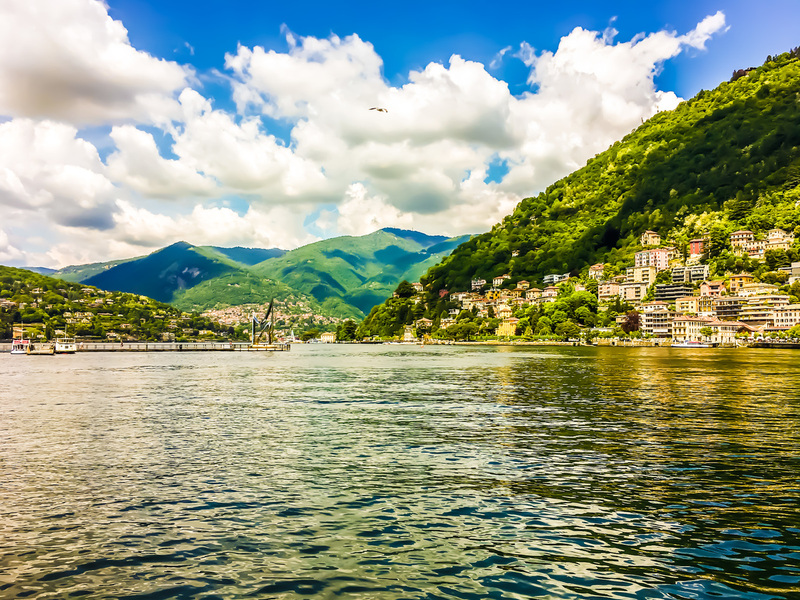 As the name suggests, Como is the principal town of Lake Como situated at its base. 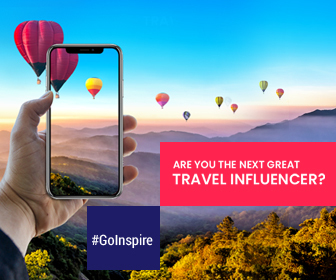 It is heaven for shopaholics and even if you’re not one you would not be able to resist the temptation to shop from the irresistible stops laden with a wide range of products. What to do in Como? Dine in the classic Italian restaurants for a delicious Italian meal. Update your wardrobe with silk products bought from Como. Visit Piazza del Duomo and cathedrals to get a sense of 15th century Gothic and Renaissance architecture. Calm your mind by strolling at the beautiful lake side promenade or just sitting by the lake. Spend some time in the Silk Museum. To get an aerial view of the lake, take a cable car (funicular) up to the beautiful village of Brunate. Varenna is a beautiful fishing town in Lake Como where clusters of houses in pastel colours are a delight to the eyes. Its geographic location by the lakeside is a bonus for this rustic town. 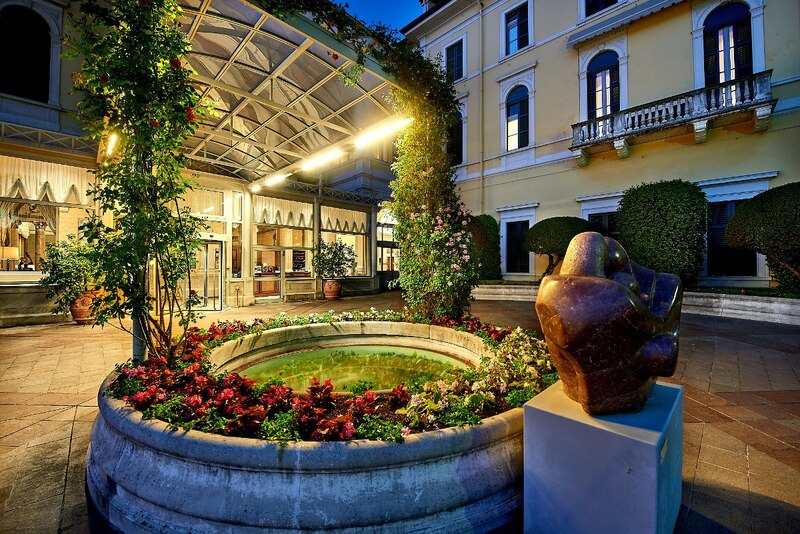 Relax in the romantic gardens of Villa Monastero. Pay a visit to Vezio Castle for a breathtaking view of the lake below. If you’re lucky you meed even get a chance to see a falconry displays which are quite common here. 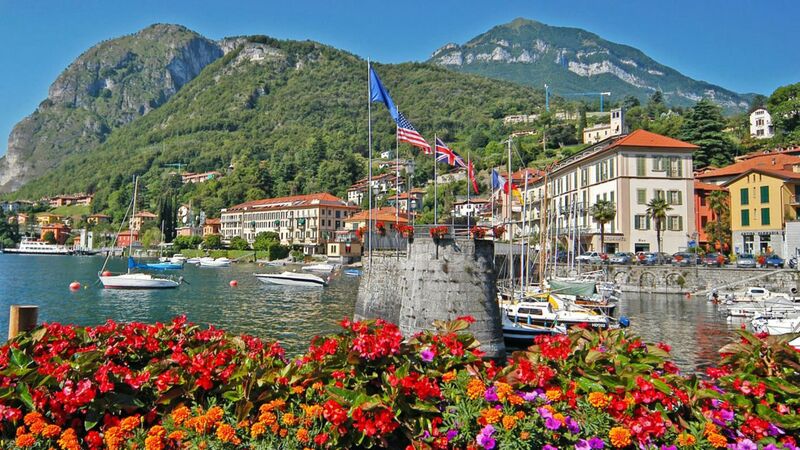 This quaint town is one of the most popular tourist attractions in Lake Como. It is situated where the two arms of the lake merge into one. It is an enticing town that draws loads of tourists arriving by boat. Don’t forget to visit the gardens at Villa Serbelloni and Villa Melzi for a wonderful experience. Walk around the town on paved narrow streets constructed on steep slopes. While away your time in luxurious cafes and designer boutiques located along the harbor. Board a tourist train to see the town if you’re not much for walking. The mesmerizing town of Tremezzo is located right across Bellagio. Part from the overall beauty of the town, there are two attractions in particular that must not be missed. 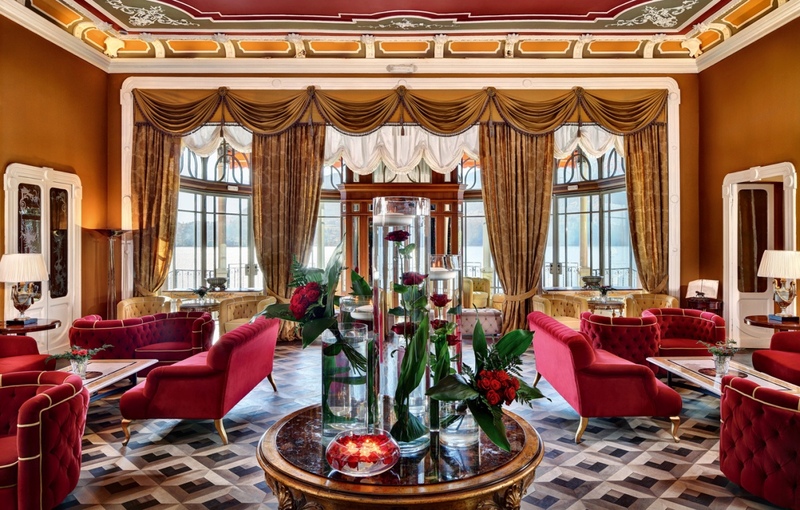 It is the most luxurious hotel in Lake Como situated at waterfront with incomparable scenery overlooking the lake. Constructed more than a century ago in the Art Nouveau style, the hotel offers all luxurious amenities such as heated swimming pool, infinity pool, floating pool, private beach and so on. It’s a huge villa with a spectacular garden with more than 500 species of flora. The villa is famous for its sculptures, tapestries, and paintings that are almost orgasmic to the eyes. If you want to rest up and are looking to spend some time lazing around, Menaggio is the best place to be. 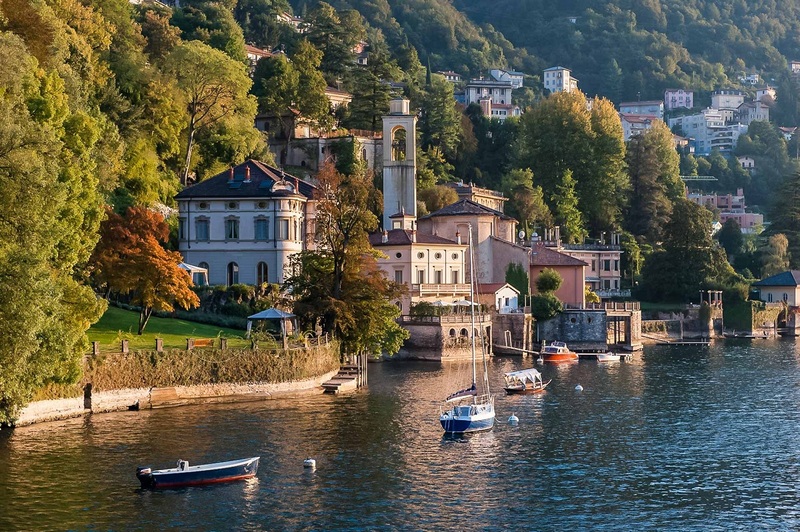 This laid back town on Lake Como is full of natural beauty. Relax in a large swimming pool and a private beach. Spend some time playing golf in a mini golf and an 18 hole golf course. If you’re a history buzz, you can also go up the stairs in Menaggio to see the ruins of the medieval city. If you would like to explore the hills, hiking and cycling are the best options. Reaching Lake Como: You can reach Lake Como either from Milan Linate Airport or Milan Malpensa Airport. Book a flight to Milan and from there you can hire a car or go by public transport to Como.